Find your course Invitation Code by going to your dashboard and clicking on your course. The Invite Code is displayed as shown. Give this code to your students. Tell them that they must create an Illiac account and join a class using this code. Detailed instructions can be found here. Once students have registered for your course, you must accept their enrollment. Do so by going to your course page (sign in and click on your course in the dashboard) then clicking on the People tab on the left side of the screen. 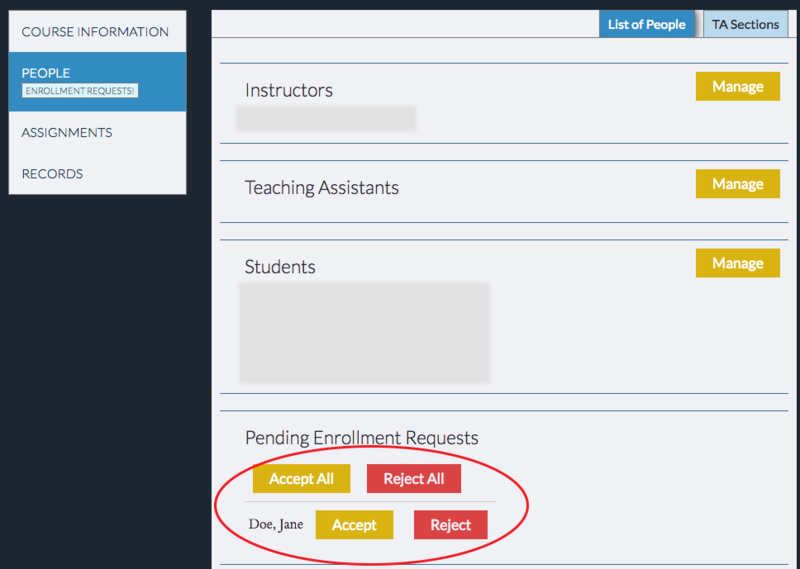 Pending enrollment requests are listed at the bottom. You may accept them individually, or accept all of them by clicking the appropriate buttons. Click the "Edit" button located at the bottom of the Students section in the People tab. 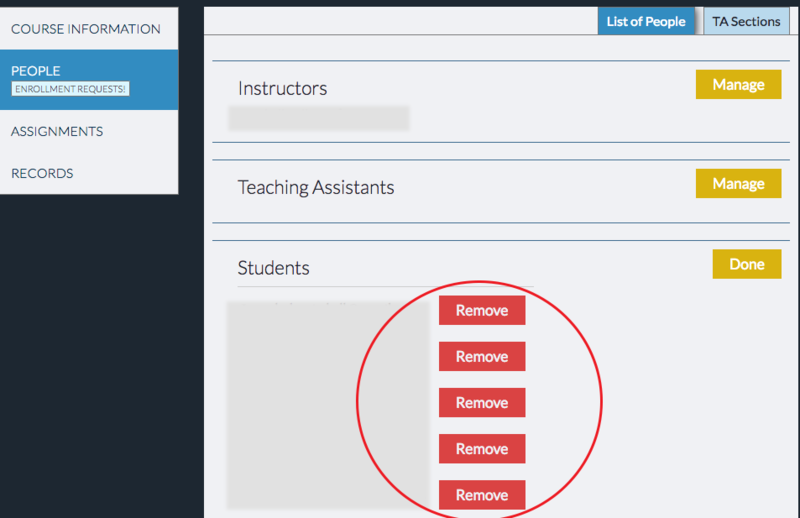 Clicking "Remove from class" button will remove the student from the course. Harmonia will ask you to confirm this action. Once it is confirm, the student will be removed from the course. This action cannot be undone.